Displaying tablet content on a whiteboard from an iPad. Teachers and pupils love the chance to work with iPads and other tablets. No waiting around to log on to a network, easy and intuitive to use and create beautiful books, films, animations and music. One problem has always been how to use the whiteboard in class to model tasks and to share work produced by children. Here are the options for schools with iPads. At the time of writing these cables cost around £49 from Apple They plug straight into the whiteboard VGA lead just as your laptop or class computer does. Search for lightning to VGA lead or lightning to HDMI, depending on your board coennection. The down side is you are limted by the length of the lead, so you can't walk around the room with your iPad. The only way to share work with a student is to unplug your iPad and plug in the one being used by a pupil. Airserver is a program you install on a PC or a Mac. It costs roughly £10 for a personal licence but you can buy 20 educational licences for approximately £60, see details here. Once Airserver is running you double tap on your home button on the iPad and swipe left to right until you see the mirroring option below. Turn on the option and your iPad appears on your PC screen. You need to make sure the iPad and PC are on the same wifi network. For me this is a winner. There are no wires so you can wander around the room. You can mirror more than one iPad on the board at once. The most we've tried is twelve! It means you can switch iPads on the board quickly, you can compare work side by side too. Airserver also broadcasts the audio from and iPad or iPhone. We have a full guide to using Airserver here which you'll need to log in to see. Reflector is a Mac and PC program that is similar to Airserver. I really don't see the point of buying Apple TV any more. They cost £90 each and you could kit all your classrooms out with Air Server of Reflector for about the same price as one. They offer you the chance to connect multiple iPads to the Apple TV wirelessly. I suppose one advantage is that you don't have to go through a computer. Back in 2013 I wrote this guide for mirroring Android tablets on a PC so they can be seen on a whiteboard. This involved a rather long-winded installation of a paid program on the PC and a free app on the android tablet. What I'd like is an easy way to do this like Reflector or Airserver on the iPad as I mentioned here. With the launch of full screen casting on the Google Chromecast it looked like there was a solution at hand. The Chromecast is a great device (I actually have one at home for personal use with my Nexus 7) but there are a couple of issues here for schools. It needs to connect to a computer or whiteboard via a HDMI input. Most of the schools we work with are still using VGA connections on laptops and projectors. You can buy a VGA to HDMI converter but they are around £30 on top of the price of the Chromecast. Chromecasts only cast the full screen on some android tablets. A list of supported devices that allow full screen casting can be found here. For most tablets the Chromecast will only share the display from a few apps such as Netflix and Youtube. There are no options for proxy settings on a Chromecast. There are ways to manipulate firewall settings to make them work. 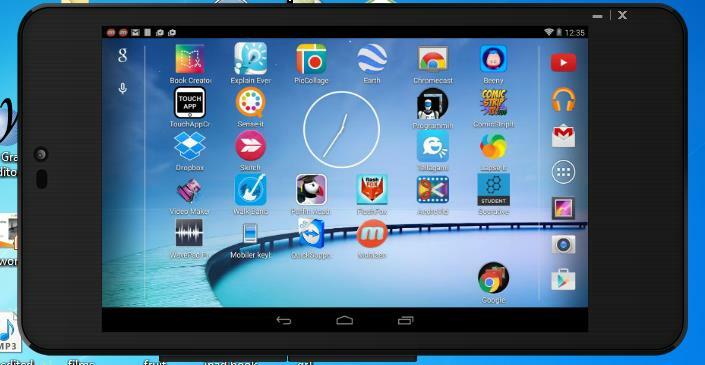 You can now use Airserver to display an android tablet on a PC screen but once again there are limitations. It has to be on a PC running Windows 8.1 and it has to have compatible wifi adapter. When I tried it on a Windows 8.1 laptop it was not compatible. After lots of searching I think I've found a solution. 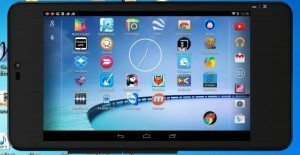 Mobizen is a free PC program and Android app that lets you wirelessly mirror your Android screen to a PC or Mac display. It also does a lot more including transferring files and controlling your Android screen with your mouse on your PC. Their web site has lots of examples. I’ve trialled this on a Nexus 7 (2013 version) and also on a £68 Hisense Sero 8. The app and their web site has instructions but I’ll list what I did and point out some things I found. Download the free PC program from https://www.mobizen.com/ and open it. 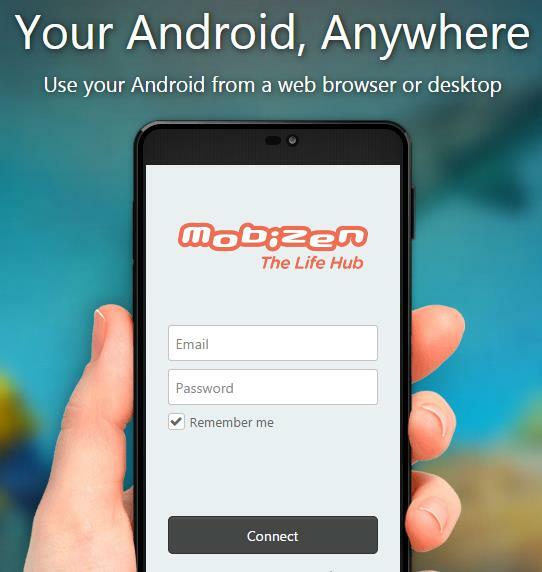 Download the free Mobizen app from the play store and open it. Enable USB debugging on your Android tablet. To do this you need to go to settings and scroll almost to the bottom and click on Developer options, then click on USB debugging. In Android 4.4 Developer options is hidden. You can enable it by going to settings >About Tablet. Now tap on Build Number seven times (All very James Bond!) this allows you to go into Developer Mode and enable USB debugging. Sign up for an account and log in with the same user name (email) and password on the tablet and the PC. The first time you connect use a USB cable so that the computer can install the required drivers. After that you should be good to go. Open the program on the PC enter the password and you can see your device, with or without a USB cable in portrait or landscape mode. You can press Cotrol and Enter to go full screen. For more details go to https://www.mobizen.com/ or go to this page for help and support.